At the end of the year and the beginning of the year, major brokerages have launched macroeconomic forecasts for 2019, and given asset allocation recommendations. This article is summarizedGF Securities,Haitong Securities,China Merchants Securities,Guotai Junan,CITIC Construction Investment,CITIC Securities,Tianfeng SecuritiesAs well as the core views of the eight brokers of Zhongtai Securities, look at the prospects of professional researchers on the trend of the economy and the stock market this year. In these predictions, it is generally believed that this year's economy will fall back from 2018, but the views on the extent of the decline are not consistent. Pessimists believe that it will fall to around 6.0%, while optimists believe that about 6.5% will stabilize. For the quarterly performance of GDP in 2019, everyone's views are relatively consistent. It is generally believed that the first half of the year will decline inertially and then stabilize in the third quarter. Finally, everyone's views on stock assets are relatively different. Typical, such as China Merchants Securities, believes that it should still be based on defense, avoiding high-risk non-ferrous metals and risk assets such as stocks. Haitong Securities believes that if China can achieve the contraction of currency and tax cuts, the future will usher in double debt. By the end of 2019, we may be able to look back and forth to see which of the forecasting accuracy rates are higher, and which ones are quite different from the final economic and stock market performance. Of course, the prediction itself is not the ultimate goal, and the logical derivation process in the prediction may be more important. First, let's look at the predictions of each country's economic growth next year. As shown in the table below, among the brokers that gave forecasts of GDP growth in 2019, it is widely expected that the growth rate in 2019 will decline compared to 2018, with most of the forecast growth rate being 6.30%. However, there are also more optimistic views. Zhu Jianfang of CITIC Securities believes that the GDP growth rate in 2019 will still be 6.50%, because many policy measures will help the economy stabilize, thus reversing the market's pessimistic expectations for the Chinese economy. These policy measures include more aggressive fiscal policies, greater tax cuts, and continued corrections in monetary policy. In contrast, the Liang Zhonghua team of Zhongtai Securities appears to be relatively conservative. They believe that the era of strong real estate stimulus to stimulate China's economy has ended, and the slowdown of local intangible debt expansion has slowed infrastructure growth and limited credit efficiency. Therefore, GDP growth in 2019 is expected to fall to 6.0%, and residents and enterprises exist. The pressure of passive de-leveraging and partial clearing, the risk of deflation faced by the economy is rising. Regarding the trend of GDP growth during the year, everyone's views are more consistent. Many brokers believe that the economic growth rate in the first half of 2019 may have some downward pressure on inertia, but it has stabilized in the third quarter. 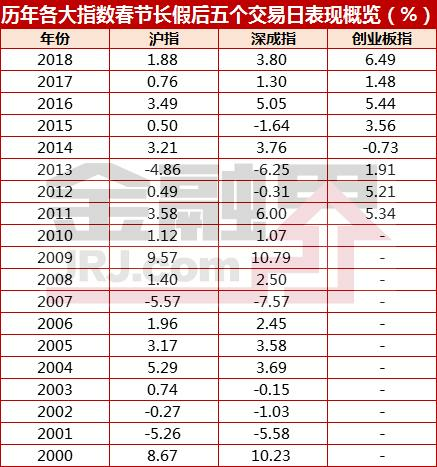 For example, Guofa Securities GF believes that the export industry chain is down, real estate new construction and investment adjustment will be the main line in the first half of 2019, and these indicators will be low at the end of Q2. Then, the effect of infrastructure restoration gradually came up, and the economic margin stabilized. Tianfeng Securities Song Xuetao believes that under the triple pressure of real estate investment, manufacturing investment and export in the first half of the year, the economy will have a greater probability of continuing the downward trend since the fourth quarter of 2018. Then, under the premise of long-term mechanism and city policy, real estate policy is expected to relax around the second quarter, and with the more proactive fiscal policy and loose monetary policy, the economy may stabilize in the second half of the year. Huang Wentao of CITIC Jiantou has a similar view, and the economy may stabilize in the third quarter. He believes that the macroeconomic growth rate in 2019 will be a "supportive downturn", that is, on the one hand, the economy is affected by manufacturing investment, real estate investment downturn and the potential uncertainty of trade friction, and there is downward pressure. On the other hand, under the constraints of steady employment and the goal of achieving a well-off society in 2020, there will be policies to hedge. To sum up, it is generally believed that due to the impact of internal and external factors, the economy has certain downward pressure, but with the effect of the stimulus policy in the second half of the year, the economy will stabilize. What are the stock market opportunities? Regarding the allocation of assets, especially the allocation of equity stock assets, everyone's views are generally more cautious. Xie Shangxuan of China Merchants Securities believes that due to factors such as high macro debt ratio, high asset prices and high environmental protection costs, the current steady growth policy may not be able to hedge the negative pressures such as Sino-US trade friction and shrinking real estate sales. Therefore, he believes that the allocation of large-scale assets in 2019 should still be based on defense, over-allocation of interest-bearing bonds, gold and other safe-haven varieties, avoiding risky assets such as non-ferrous metals and stocks. Tianfeng Securities Song Xuetao believes that the 20-year A-shares are in the stage of secondary bottoming and central shock recovery from the bottom of the policy to the bottom of the market, and the market still has the risk of double bottoming. Therefore, in the first half of 2019, it is recommended to be partial defense, and in the second half of the year, it will be turned to attack. In these pessimistic views, the optimism of Haitong Securities Jiang Chao is different. He believes that if you are willing to shrink the currency and reduce taxes, then the future capital market may usher in prosperity, and finally usher in the stock market.